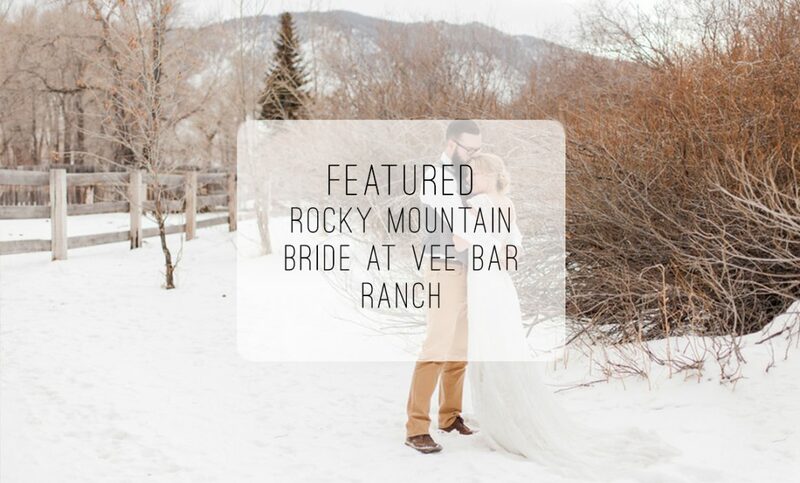 This Wyoming winter elopement shoot took place at the Vee Bar Guest ranch, nestled below the Snowy Range Mountains near Centennial, Wyoming. 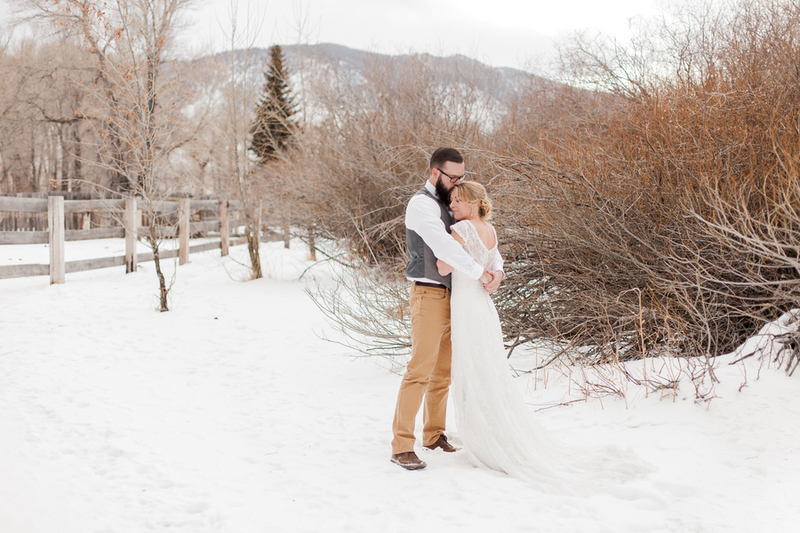 Our couple, Sean and Anastasia are the true embodiment of the modern west, and are absolutely-adorably in love. 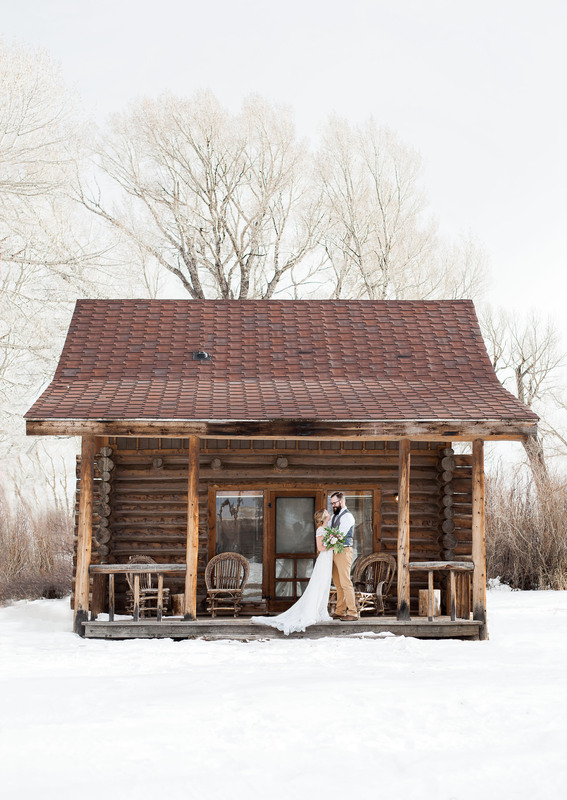 We prepped at one of the quaint log cabins at the ranch, surrounded by fresh snow, bare willows, and the ever present Wyoming winds. 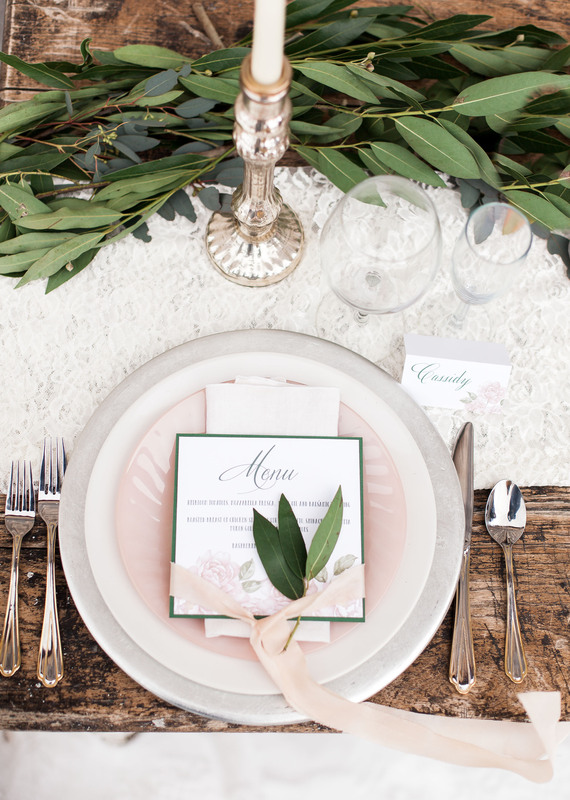 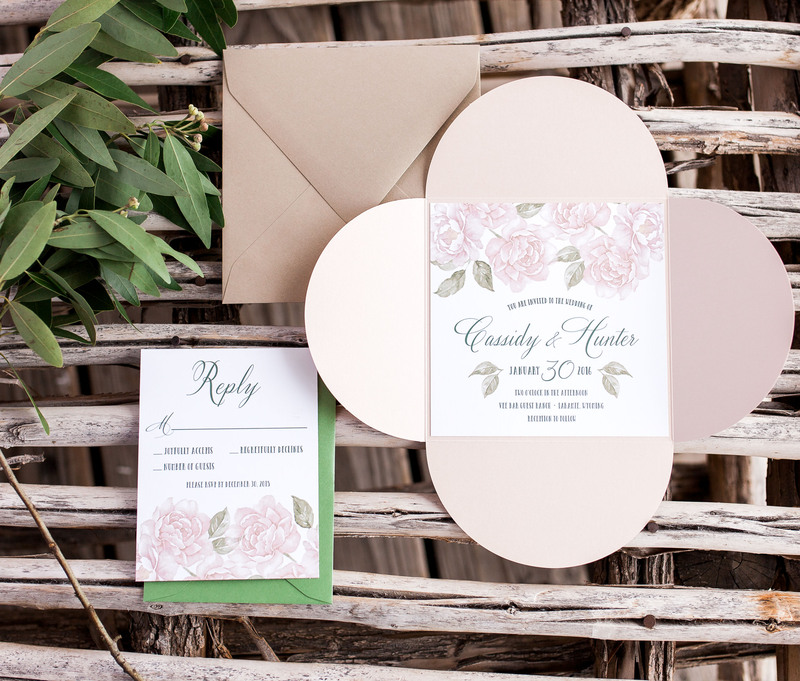 Using pale pink and fresh greenery, our goal was to bring delicate feminine whimsy to the rustic and historic guest ranch. 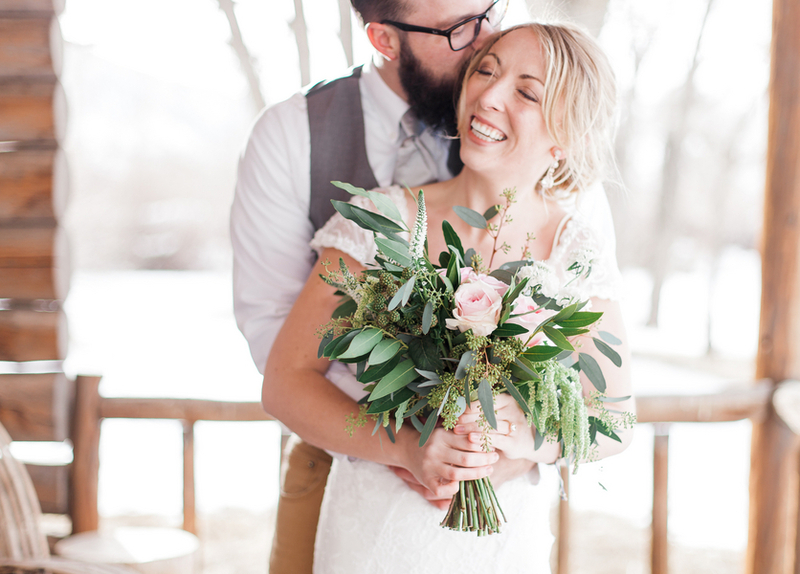 The lovely bouquet and decor is made up of mostly bay, greens, and gorgeous pink garden roses, which also adorned our naked cake, and tablescape. 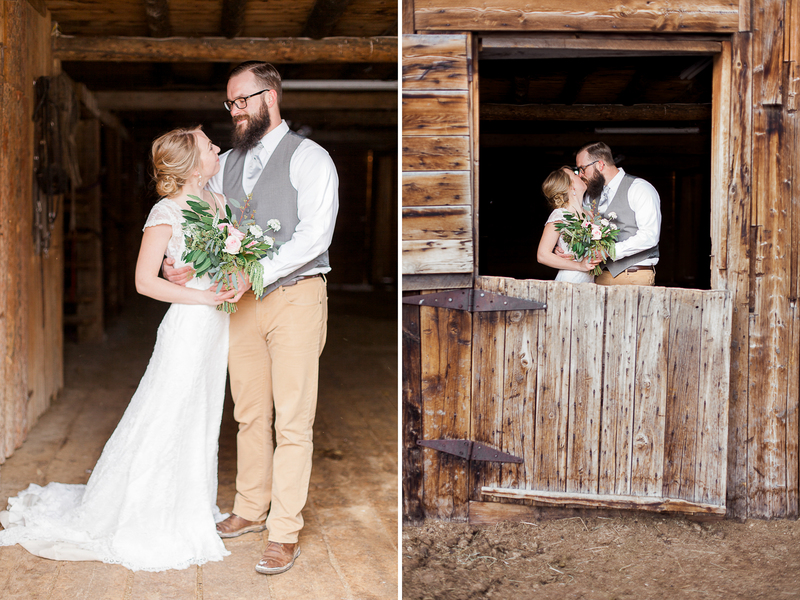 Taking shelter from the incoming snow-storm we headed to the barn, where we used the beautiful window light to take romantic portraits. 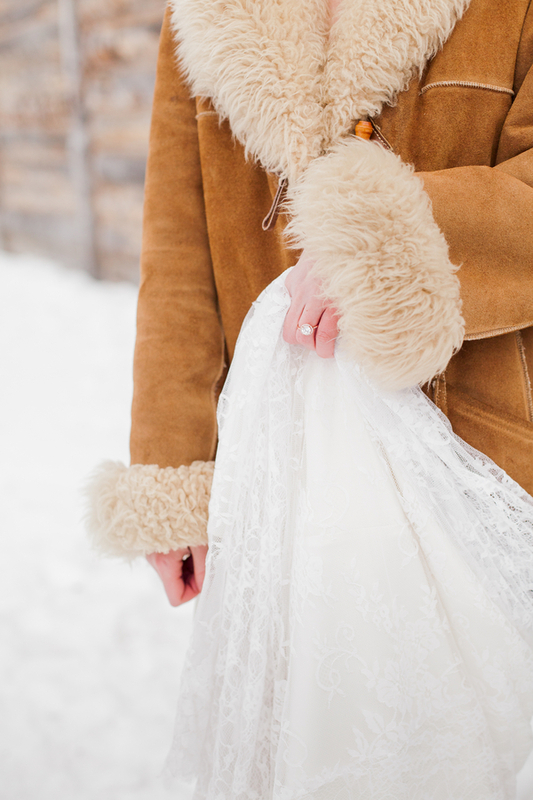 As dusk approached the temperatures dropped so our bride donned a sheepskin coat and we headed outside to toast the evening. 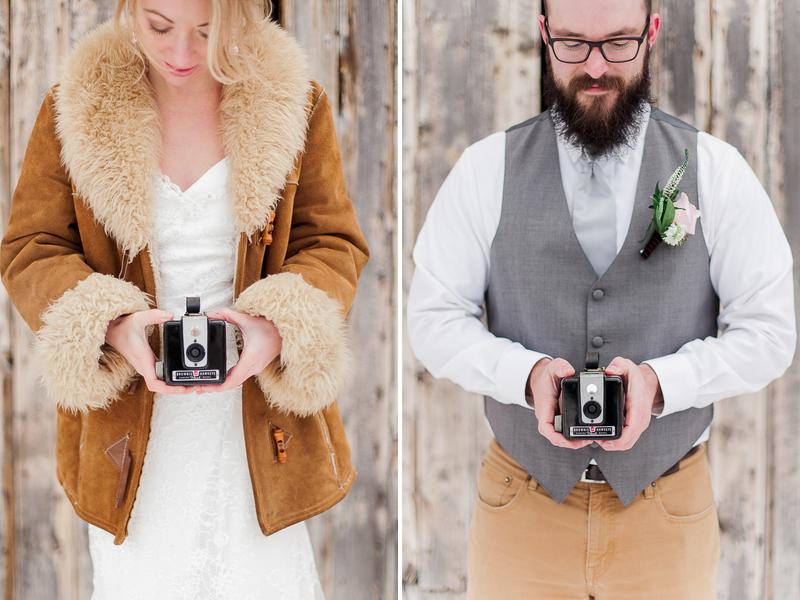 Lastly, they took turns photographing the scene with a 1950’s Brownie camera, before changing and heading off to get warm and enjoy the evening. 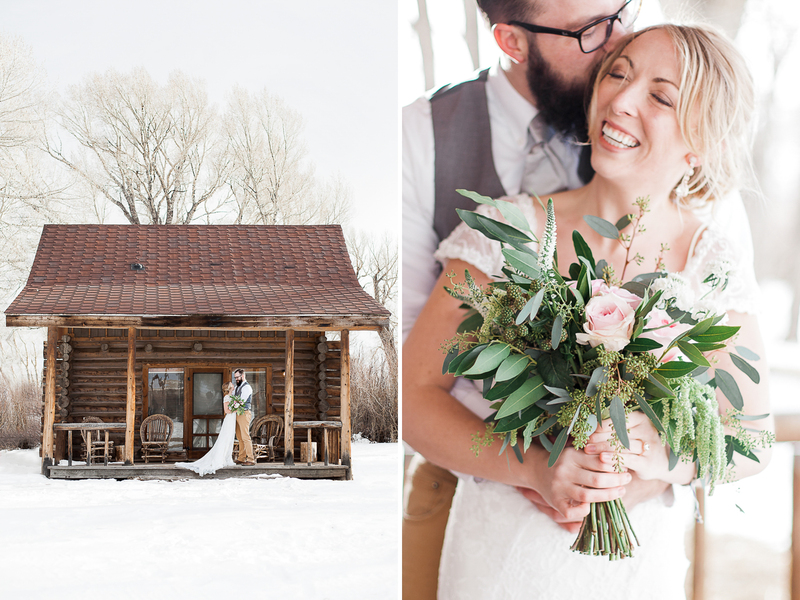 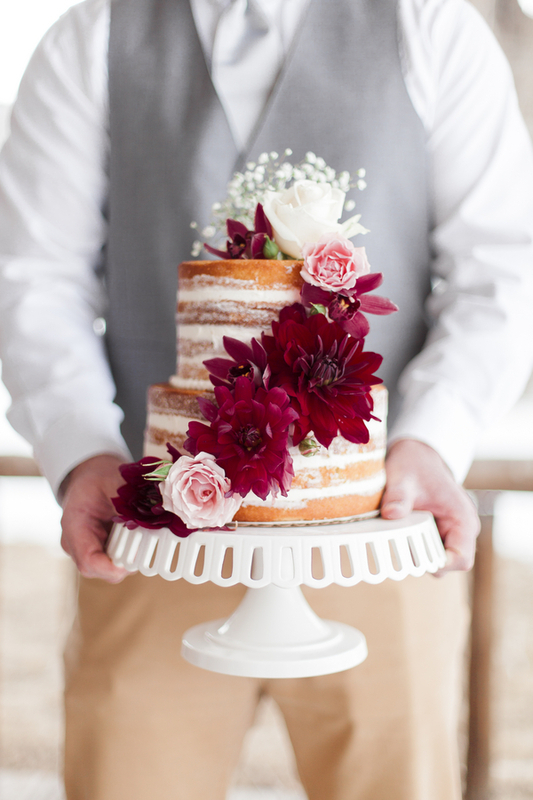 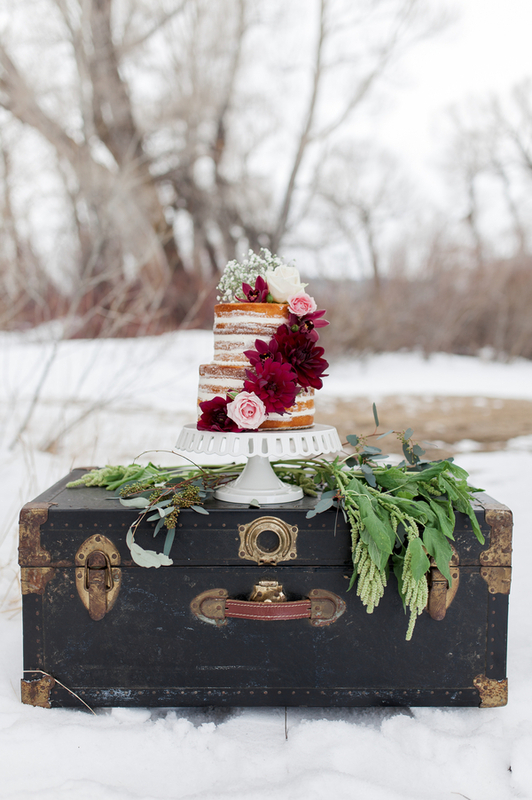 Again, many many thanks to the fabulous vendors who’s talent and personality made all the difference for this Wyoming Winter Wedding Shoot. 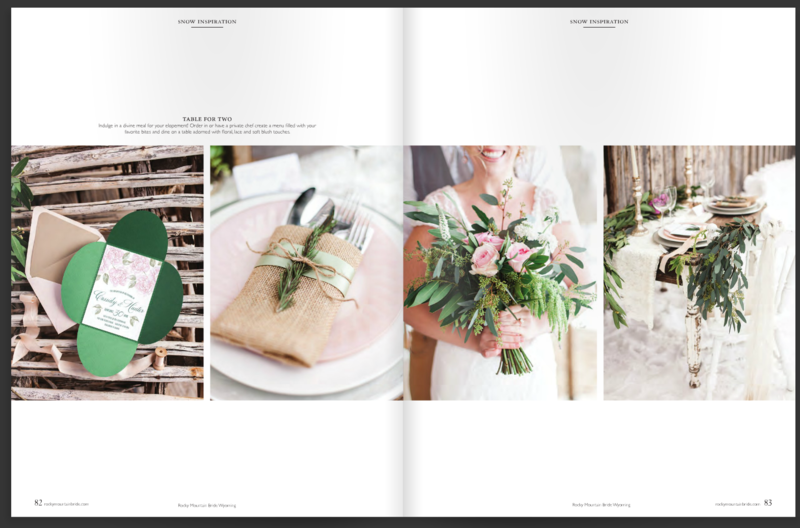 I’m honored to have documented your craftsmanship! 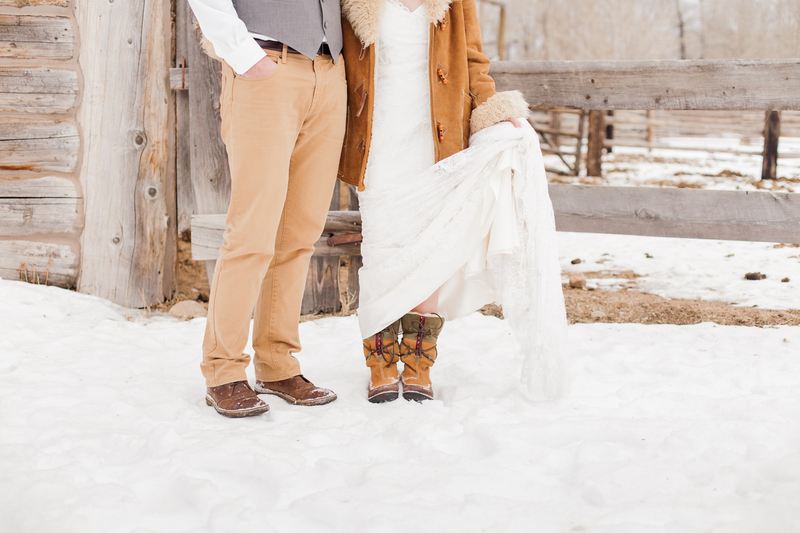 Fabulous!!!! 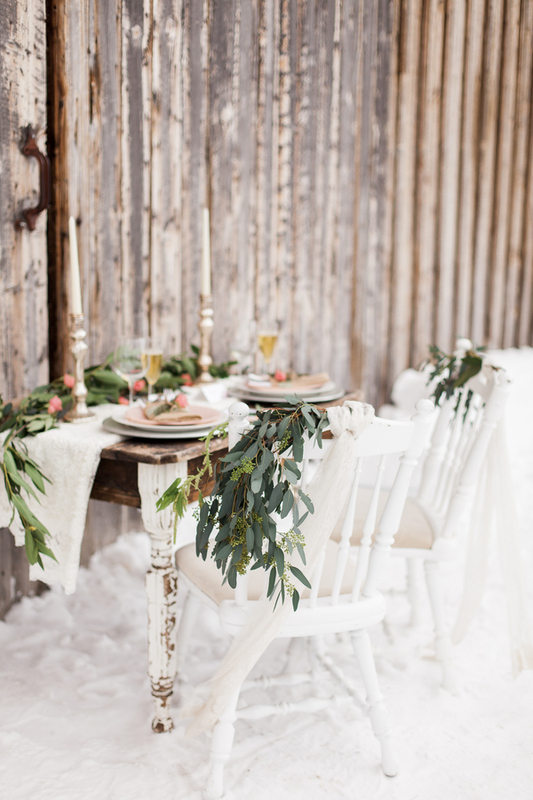 Love the contrast with the snow.